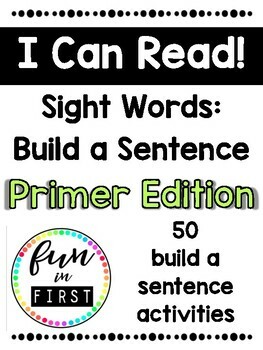 This product includes 50 build a sentence activity strips to practice building logical sentences with pre-primer sight words. 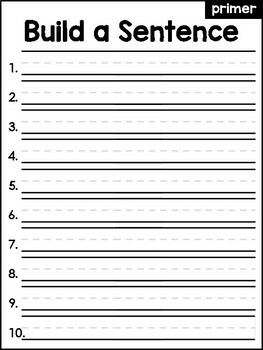 There is also a recording sheet to hold students accountable. 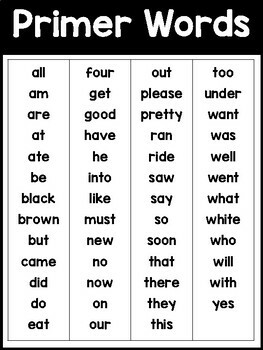 Primer Play Doh Mats -- click HERE. 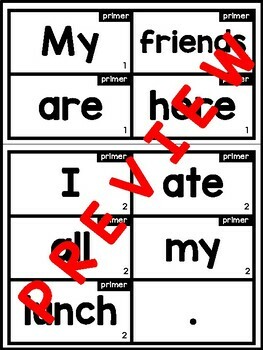 Primer One-to-One Word Match Sentences -- click HERE.